Join our nation's teacher leadership community at the 2019 National Teacher Leadership Conference: A Radical Imagination for the Future, hosted by the National Network of State Teachers of the Year (NNSTOY). You will have the freedom to design your own teacher leadership experience based on three tracks: classroom practice, supporting teachers, and policy and advocacy. July 9: Preconference Institutes and Academies: Coffee, followed by a variety of professional development options to best fit your practice. Attend a Teachers Leading Academy, Voya STEM Academy, or NNSTOY Member Master Class. Paid focus groups with conference sponsors (optional) in the afternoon. Welcome reception with open bar and appetizers in the evening. More information on the Academies and Master Classes below. July 10: Day of Inspiration and Service: Breakfast, followed by provocative and motivating TED-Style talks from presented by State Teachers of the Year calling you to action. Build community with your homerooms and have in-depth conversations in intimate groups. Picnic lunch, then engage in a service project with conference attendees in our host city, Orlando. Reception with open bar and appetizers in the evening. July 11: Best Practices in Teaching and Learning and Cultivating Equitable Schools: Breakfast, lunch, and networking happy hour. Deep-dive into two of the four problems of practice. In the morning we will engage in Best Practices in Teaching and Learning, beginning with a keynote session followed by two hour-long breakout sessions. Breakout sessions will flow into three tracks: classroom practice, supporting teachers and policy and advocacy. The afternoon will follow the same format as we engage in the Cultivating Equitable Schools Problem of Practice. July 12: Breakfast and lunch included. The Future of Education and SEL for Teachers and Students: Deep-dive into the following two Problems of Practice. In the morning we will engage in The Future of Education, beginning with a keynote session followed by two hour-long breakout sessions. Breakout sessions will flow into three tracks: classroom practice, supporting teachers and policy and advocacy. The afternoon will follow the same format as we engage in the SEL for Teachers and Students Problem of Practice. The Wyndham Grand Orlando Bonnet Creek is a secluded, tranquil hideaway near Disney World. It offers a full service spa, five restaurants, a state-of-the-art fitness center, pools with a lazy river, playground, game rooms, miniature golf, picnic/bbq areas, ping pong, and a free shuttle to and from Disney Theme Parks. The resort fee (normally $28) has been waived for our group, the room rate is $142/night + taxes. Learn more about our wonderful venue, here. Have you ever wondered what teaching characteristics make a STEM teacher a truly rock star teacher? Are you ready to take your STEM teaching to the next level? Join us for an authentic STEM learning experience via an evening workshop on July 8 followed by a STEM Academy (July 9)! Ditch the “sit-and-get” and get exploring with us! Our experiential learning adventure will engage participants around the key STEM topics of inquiry, risk-taking, curiosity building, and promoting failure while sharing strategies that build strong classroom partnerships with colleagues, community organizations, and businesses. Best of all, this workshop is designed by leading STEM educators for STEM educators. Come explore with us! Participants will be introduced to scientific research and student interviews supporting a 9-12 Human Learning & Wellbeing curriculum that explicitly teaches learning theory and psychological wellbeing, while facilitating students’ explorations of culture, motivation, and happiness. In groups of four, participants will discuss, debate, and propose basic content, goals, and assessments. Chris believes self-determination can be taught and learned, resulting in higher academic achievement, deeper learning, and healthier, happier human beings. This year, he embarked on a 48-state journey to collect stories about the origins of academic apathy, resistance, and disengagement, and to learn what schools can do to minimize them. By the time he arrives in Orlando, Chris will have interviewed hundreds of people – from teenagers and teachers to those in their twilight years – across 29 states. Hear some of their stories, and learn how to apply their lessons in your own lives and schools. Preparing students for the future involves more than mastery of content knowledge. It involves teaching our students to use critical thinking skills to move beyond the reality they know today. Our need for innovators and design thinkers is great. Students must be taught to dream and to see their futures in nontraditional paths. As we teach students to own their learning, we should also teach them to own their future. Entrepreneurship can be embedded in most content areas as an innovative, fun way to explore a future unknown to all. Dr. Marshall teaches at a STEAM/P21 exemplar school and local university in South Carolina. She is a strong proponent and practitioner of Project Based/Active Learning Environments. A SCTOY finalist and inaugural recipient of a $65K Steelcase Active Learning Center Grant, Dr. Marshall has provided professional development at the local, state, and national levels. She has published blogs for Getting SMART, The Journal, and others concerning her active learning research. Her latest endeavors, Empatico’s Empathy Project and her own Entrepreneur Project, have resulted in powerful student success stories. Her passion for innovative environments and approaches have garnered her international attention. In order for schools to be equitable and inclusive environments for students, educators must take a multi-leveled approach to the work. In this master class, participants will engage in activities that allow collaboration and reflection to examine the building blocks of equitable schools: the educator, the classroom, and school policies. Monica Washington, the 2014 Texas Teacher of the Year, is an instructional coach for BetterLesson supporting educators to make positive shifts in instruction and leadership. A decorated educator of twenty-one years, Monica has received honors and awards from a variety of organizations. She is a 2015 Milken Unsung Hero Fellow and a 2015 NEA Foundation Global Fellow. Monica supports teachers through workshops, speaking engagements, and blogging for Education Week and Education Post. She is passionate about creating equitable and inclusive school environments for students. Monica serves as Leading Educator Ambassador for the Equity for the Education Civil Rights Alliance. Afrika Afeni Mills is the Senior Manager of Inclusive and Responsive Educational Practices with BetterLesson. She works with educators to transform instructional practices. A former teacher, administrator and prominent thought leader, Afrika has been featured on podcasts and at conferences across the U.S. Afrika holds a master’s degree in elementary teaching from Boston College’s Lynch School of Education, where she graduated first in her class. Afrika believes that all teachers can be dynamic educators and leaders when provided with the supports needed to create student-centered learning environments that inspire wonder and creativity and nurture diversity, equity and inclusion. Onstage, success isn’t measured by test scores. It’s about stirring the audience’s hearts, transforming into someone new, collaborating behind the scenes to make the whole show possible. When we introduce theater techniques into our classrooms, we can help students challenge their notions of what they are capable of achieving. At the same time, we can help them strengthen their literacy skills and develop social and emotional competencies. In this session, get hands-on experience with a variety of theater activities while thinking through how you might use these strategies to engage and empower your students. Sydney Chaffee is a 9th grade Humanities teacher, department chair, and instructional coach at Codman Academy Charter Public School in Dorchester, MA. As 2017 National Teacher of the Year, she has spoken to audiences around the world about the limitless power of teachers and students to change the world. Sydney is a National Board Certified Teacher with a passion for helping diverse learners grow through authentic, relevant, interdisciplinary curricula. She earned her B.A. from Sarah Lawrence College and her M.Ed. from Lesley University. Learn more at www.sydneychaffee.com. In this highly interactive workshop, participants learn how linguistic inequity impacts school culture, climate and classroom success. Through “real talk” discussions, scenarios, activities, and an intense “Walk in Their Shoes”, attendees become empowered with the top twenty strategies to enhance ELL learning, to improve ELL academic language literacy in content areas and to create a linguistically equitable environment for ALL! Get ready to laugh, cry, get mad, and get REAL. That is, if you B.E.L.I.E.V.E.! Choose from one of three teacher leadership academies created by NNSTOY based off of the Teacher Leader Model Standards. To view a comprehensive flyer about each course, click the links under each title. This course will help you reset professional learning so that it is more meaningful and relevant to teachers and students. You will learn to design professional learning systems and help colleagues take ownership of their learning. Learn how to facilitate learning using the latest adult learning style research. Learn how to develop deeper connections with family and community and to create partnerships that serve students better. Gain insights about how the school, the family, and the community can contribute to students’ learning and positive school experience. A 3 hour workshop designed by partners of NNSTOY. Test out new technologies, learn about new developments in the education landscape. A 3 hour workshop designed by partners of NNSTOY. 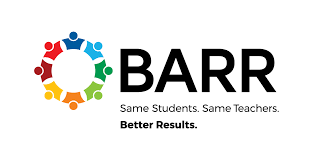 A discussion and presentation on SEL with some of BARR’s tactics sprinkled in. In this session, participants will take a deep dive into 12 competencies of social and emotional learning; will explore whether/how they currently teach these through their content discipline; and how they might contribute to the ongoing research base in this area. Attendees will leave with a richer understanding of key competencies of social and emotional learning, a reflective perspective of how they teach these through their content discipline, and of what they need to learn in order to do this more effectively. This institute is open to all K-12 teachers of any content area who are interested in social and emotional learning. Learn how blogging can be used as a tool for social change for teacher and student voice. A morning of motivating Ted-style talks followed by an afternoon of giving back to our host community. Sign up for a service project below. Inspire the Desire to Teach: a mini conference in partnership with the Florida Education Association. Space is limited to 60 conference attendees – we will host a mini conference for high school students who wish to become future educators. Further information will be provided from conference organizers. Mural Painting: a community service project for Orlando Gifted Academy. We will paint murals and garden stepping stones. Transportation will be provided. Pink Santa Hat Movement: the Pink Santa Hat Movement provides educators who are fighting or have bravely fought breast cancer with an opportunity to lift their spirits through hope, support, and fellowship. Online donations will be accepted. Every child has the ability to learn and it is our job as educators to tap into what each student can know and can do. But how do we do this best? Now is the time for us to take a hard look at our assessment practices and to start to make real shifts for the benefit of all kids. As the lead learner in the Humanities Department, Starr Sackstein works with teachers to improve student learning. Through her understanding of alternative assessment, student-centered learning and instructional coaching, Sackstein works to elevate all teachers to their best possible teaching selves.. Sackstein is also the author of several educational books on assessment and reflection. Mr. Wright facilitates an interactive lesson that lifts up the connection between student achievement and strong relationships with students and the impact this connection has on students, classrooms and schools. While simultaneously exploring the dynamic of being a teacher and mentor to students. Abdul Wright is an eighth grade Language Arts teacher in North Minneapolis. He also holds the title of being an Instructional Coach and Data Team leader. He has taught Language Arts for the past six years. Mr. Wright strives to make a positive difference in impoverished communities, while also striving to be the best version of himself. He completed an African American Leadership program in the spring of 2016. Also graduated from Hamline University in the spring of 2016, with a degree in Education. Mr. Wright earned his Bachelor’s degree in Communication Arts and Literature in 2011. He received the Minneapolis Peacemaker award from the city of Minneapolis I 2015, received “the You’ve Made a Difference” award from Cristo Rey Jesuit High School in 2015 and 2016, and is the recipient 2016 Minnesota Teacher of the Year award and was recognized as The first black male to receive the award, the youngest, and the first from a Charter school. In 2018, Mr. Wright was identified as a Minnesota African American Heritage Award Honoree. Mr. Wright also serves as the Board Chair for the Mastery School, a charter school in North Minneapolis. When I wanted to quit, my students decided to lead: How events change people - and the skills they need to meet the challenge! Educators talk about how they teach leadership and challenge students to become aware of issues around them and then design effective solutions. 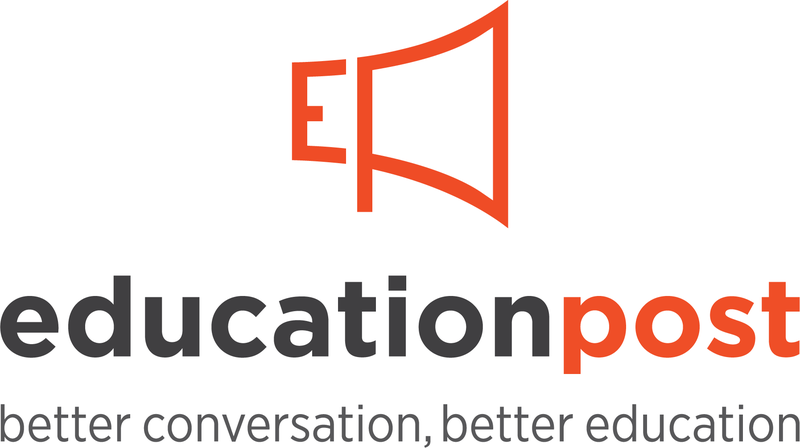 Hear real life stories and see available free lessons for middle and high school students. Whether you’re just thinking about writing or already have an idea you’re working on, come explore the process of writing professional books from developing your ideas to writing a proposal. Kassia, a former classroom teacher and coach and current editor for Stenhouse Publishers, will share practical tips for getting started. Kassia is an acquisitions and development editor at Stenhouse Publishers. She has the privilege of helping new and experienced writers develop their ideas and write powerful books about teaching and education. Kassia is also the author of two Stenhouse titles about math, Math Exchanges: Guiding Young Mathematicians in Small-Group Meetings (2011) and the upcoming Hands Down, Speak Out (2020). Previously Kassia was a elementary classroom teacher and a math coach for Fairfax County Public Schools in Virginia. "The 'Minority' is the 'Majority': How Culturally Responsive Teaching is Necessary in Today's Classrooms"
“The aim of this session is to introduce and familiarize participants with the fundamentals of culturally responsive teaching (CRT). During this session, participants will engage in an array of activities designed to promote awareness and early development of key CRT skills, including self-awareness, uncovering students’ funds of knowledge, and decision-making. Delegate Cain has been at the center of a multi-year effort to create a world-class education system in her state. She will share information on upcoming policy changes, based on evidence from other states and overseas, and on advocacy strategies that hold the most promise for the future. Alice Cain is a Delegate in the Maryland General Assembly. She was elected to office in 2018 and is proud to be a member of the most female and most diverse freshman class in Maryland’s history. She serves on the House of Delegate’ education committee, which is currently tasked with re-writing MD’s K-12 education law and funding formula for the first time in 15 years. Alice also serves as Executive Vice President of Teach Plus. Prior to that, she worked on the education committees in the U.S. Congress for education champions Senator Paul Simon and Rep. George Miller. Michael Dunlea currently teaches 3rd grade in Tabernacle, NJ. He is a 2012 NJ State Teacher of the Year Finalist and a National Teacher Fellow in America Achieves and Hope Street Group. In 2018 he achieved the Presidential Award of Excellence in Mathematics and Science Teaching. He attained National Board Certification in 2015 and is currently pursuing his 2nd Masters Degree in Teacher Leadership at Mount Holyoke College. He was chosen as a Microsoft Innovative Educator Expert for 2018-2019. He serves his community as the President of the non-profit group, Alliance for a Living Ocean, ALO. Dr. Melissa Collins has been an elementary school teacher at John P. Freeman Optional School in Memphis, TN for 19 years. She is a member of Tennessee Hope Street Group. She is the recipient of several awards and honors, including: the 2018-2019 National Board Fellowship, the 2018 Global Teacher Prize Finalist, the Queen Smith Award, the Stephen Sondheim Award, the Horace Mann Award for Teaching Excellence, the Presidential Award for Excellence in Mathematics and Science Teaching, and the West Tennessee Teacher of the Year. She is a proud National Board Certified Teacher in the area of Early Childhood Education. Shaun Mitchell from Central High School will discuss his work with Project Citizen, a two-week summer writing literacy lab. He’ll facilitate group activities and discussions to help participants gain a deeper understanding of how student-centered learning can get students involved in their communities and to advocate for important issues. “Shaun Mitchell is an English teacher at Central High School in Bridgeport, Connecticut, teaching AP Literature & African-American Literature. He’s an active member of the Connecticut Writing Project and has traveled across the country providing professional development on student-centered approaches to all things literacy related. Shaun recently co-authored a chapter for Young Adult Literature and the Digital World, detailing a student-centered, inter-district project funded by John Legend. This interactive session will feature 4 promising practices in 1)Leading with inquiry; 2)Teacher Led Learning Walks; 3)Providing Effective Feedback; and 4)Power of Self/Peer Observations. Participants will be provided with interactive digital tools they can utilize to capture a culture of improvement while enhancing teacher leadership and student achievement. Additionally, Session participants will leave with a tool-kit of real time resources they can use to transform teacher practice even in the most challenging community settings. “Craig Martin, 2018 National Distinguished Principal and Massachusetts Elementary Principal of the Year and 2009 Boston Public Schools’ Educator of the Year, currently serves as the Proud Principal of the Michael J. Perkins Elementary School in South Boston, MA. This is his 6th year as BPS Principal and 14th year as a BPS Educator. Additionally, he serves as Co-President of the Boston K8 Principals Association; Founder of the School Leaders of Color Think Tank; and Founder of the Brown Boys Network. Craig holds a B.A. in Elementary Education from Dillard University and a M. Ed in Educational Leadership from Lesley University. In this session, participants will learn how to assess students’ personality in order to create a community of learners and to increase student learning and participation. Participants will grow a deeper understanding of themselves and others. Dr. Pamela Harman was the 2008 Alabama Teacher of the Year and a National Board Certified Teacher. She holds a Doctorate in Teacher Leadership, a Masters in Geosciences from Mississippi State University, and a Bachelor degree in Secondary Education / with a concentration in Biology, Earth and Space Science from the University of Alabama at Birmingham. She has been teaching in the Hoover City School system for 21 years. She has presented across the nation on differentiated instruction and is published in the National Association of Geoscience Teachers Journal. Pamela is a veteran of the US Marine Corps. “In Chicago and Indianapolis, Teach Plus Change Agents, in partnership with their principals, develop solutions to their schools’ unique problems of practice. From designing and implementing a better Multi-Tiered System of Support (MTSS) to implementing standards-based grading, they demonstrate how teacher leadership is leveraged to solve widespread educational issues. Cary Sabados, National Instructional Leadership Coach, supports teacher leaders across the country as they take on leadership in their schools and districts. Prior to working for Teach Plus, Cary was a middle and high school Mathematics teacher, instructional coach, and dean in Washington DC. Outside of work, Cary volunteers his time to help Wishes for Elliott, a campaign to promote research into rare and undiagnosed neurological disorders. Cary graduated from Claremont McKenna College in California with a BA in Mathematics and Literature, and earned his MAT in Secondary Math Education from American University in Washington, DC. Gretchen Stullken is a teacher leadership coach for the Indianapolis region. Before becoming a teacher leadership coach, Gretchen was a second grade teacher and T3 teacher leader at Riverside Elementary. Prior to Riverside, Gretchen’s fifteen years of teaching span from first grade to teaching adults who were striving to earn their high school diploma and a career pathway. Gretchen enjoys spending time with her family, practicing yoga, hiking, gardening, and cooking. Gretchen graduated from Massachusetts College of Liberal Arts with a BS in Education. Kelisa Wing has been an educator for 12 years. She taught 8th-grade Language Arts and Reading to military-connected children at Faith Middle School in Fort Benning, Georgia, has been an Elementary School Assistant Principal, and is now an Instructional Coach. Kelisa honorably served in the U.S. Army for six years and attained the rank of Staff Sergeant. She is the author of Weeds & Seeds: How To Stay Positive in the Midst of Life’s Storms and Promises and Possibilities: Dismantling the School to Prison Pipeline. She is a 2017 State Teacher of the year, a 2016 Association of Supervision, Curriculum, and Development (ASCD) Emerging Leader, and the 2017 University of Maryland University College (UMUC) Outstanding Alumnus of the Year. She is a member of the Leading Educator Ambassadors for Equity (LEAE) with the Education Civil Rights Association (ECRA), an Advisory Board member for Learner Variability Project, and a member of ASCD. She speaks both nationally and internationally about discipline reform, equity, and student engagement. After teaching in NYC and Chicago public schools, Erickson learned firsthand the unjust challenges and barriers students of color face in school. In Mt. Vernon, she works to teach her predominantly white students to use their privilege to advocate for others. Erickson has developed and taught Social Justice and African American literature curriculum for Mt. Vernon. She is the founder of Compassionate Curriculum and the Connect, Absorb, Respond, and Empower (CARE) conference that brings authentic and relationship building conversations about race and bias into high schools. She earned a Bachelors degree in English and Spanish from the University of Delaware and Masters Degree in Teaching from Pace University in New York City. She was recently awarded the Her Woman of Achievement Award by the eastern Iowa Gazette, and was a 2019 finalist for Iowa Teacher of the year. Gloria Pereyra-Robertson is a bilingual kindergarten teacher and the 2017 Oregon State Teacher of the Year. She is the daughter of Mexican immigrants and an ELL student, who has overcome language barriers, racial and discriminating situations throughout her life. She is a teacher who helps find innovative solutions to break down language & racial barriers for all students & their families. Gloria’s cultural responsiveness work includes: Leading Educator Ambassador for Equity for the (E.C.R.A); a blogger for Scholastic’s Let’s Find Out Magazine; a contributor to Facebook’s Education Teacher Advisory Panel; NNSTOY Social Justice Book List & CCSSO’s TEACHER VOICE DIGEST. Brett Bigham was the first Oregon special education teacher to be named Oregon State Teacher of the Year and to win the National Education Association National Excellence in Education Award. He also received an NEA LGBT Role Model Award and was named an NEA Foundation Global Learning Fellow in 2015 and 2018. Brett is the creator of Ability Guidebooks, a series of books to help autistic people get out into the community. There are currently over 165 books, in 36 counties and in six languages. 1 in 5 students have learning or attention issues. To create truly inclusive classrooms for all students, educators must identify, examine and mitigate biases. We will explore biases and share strategies to enhance empathy in the classroom, both between educators and students and between students and their peers. Jessica Cisneros: Jessica is a K/1 lead teacher at Two Rivers Public Charter School in DC. She is an Understood Teacher Fellow and a Teacher Leader at her school. Jessica has worked in the field of education for 13 years and has been a classroom teacher since 2011. She has a M.Ed. in Elementary Education and an M.Ed. in Special Education. Michelle Capriotti: Michelle is a currently a 2018 Teacher Fellow for Understood and high school Special Education teacher from Chandler, Arizona. Michelle has spent sixteen years teaching in grades 6-12 in both the general and special education classroom. She holds a M.Ed in Elementary Education and Postgraduate Certificates in Special Education and Education Policy. “Meghan Everette is an Elementary Mathematics Teacher Specialist in Salt Lake City and the Executive Director of the ASCD Emerging Leader Alumni Affiliate. Meghan was the 2013 Alabama Elementary Teacher of the Year and a 2015-2017 Hope Street Group National Teacher Fellow. She serves as a Digital Promise Micro-credential Ambassador and writer for the National Center for Learning Disabilities Watson-Enabled tools. Meghan co-designed PoweredBy Teach to Lead Utah, spent six years as a blogger for Scholastic’s Top Teaching site, and previously taught at George Hall Elementary, the National Turn-Around Model School. She is currently pursuing her doctorate from the University of Florida. "Equity in Action: Empowering Educators to Transform School Communities "
“Creating school environments that empower all students to thrive requires changes to both systems and instruction. In this session, educators will unpack blind spots in their policies and curriculum that may lead to inequitable practices. Participants will leave with an action plan for implementing equitable practices in their schools. Monica Washington: Monica Washington, the 2014 Texas Teacher of the Year, is an instructional coach for BetterLesson, supporting educators to make positive shifts in instruction and leadership. A decorated educator of twenty-one years, Monica has received honors and awards from a variety of organizations. She is a 2015 Milken Unsung Hero Fellow and a 2015 NEA Foundation Global Fellow. Monica supports teachers through workshops, speaking engagements, and blogging for Education Week and Education Post. She is passionate about creating equitable and inclusive school environments for students. Monica serves as Leading Educator Ambassador for Equity for the Education Civil Rights Alliance. Afrika Afeni Mills: Afrika Afeni Mills is the Senior Manager of Inclusive and Responsive Educational Practices with BetterLesson. She works with educators to transform instructional practices. A former teacher, administrator and prominent thought leader, Afrika has been featured on podcasts and at conferences across the U.S.
Afrika holds a master’s degree in elementary teaching from Boston College’s Lynch School of Education, where she graduated first in her class. Afrika believes that all teachers can be dynamic educators and leaders when provided with the supports needed to create student-centered learning environments that inspire wonder and creativity and nurture diversity, equity and inclusion. Culminating from a year-long collaboration between NNSTOY and the University of Phoenix (UOP), this session presents a white paper focused on the current and future status of Black, male educators in pre-K-12 education. Additionally, this session includes an interactive panel discussion with UOP researchers and fellows from the 2018 NNSTOY Outstanding Black Male Educators Fellowship cohort. Dr. Kimberly Underwood has almost two decades of experience in diversity and inclusion education, consulting, research, university accreditation, and administration within higher education and government. She currently serves as the University Research Chair for the Center for Workplace Diversity and Inclusion Research at University of Phoenix (UOP). She is also a subject-matter expert and lecturer at Georgetown University. Dr. Donna Smith’s experience spans the realms of higher education administration, faculty member, and workforce development. She has served in the roles of Dean of Graduate and Professional Studies, Director of Adult and Professional Studies, and Director of Academic Support. In addition, she has served as an Associate Faculty member in the UOP School of Doctoral Studies and a Senior Research Fellow in the Center for Workplace Diversity and inclusion Research. Dr. John (Medgar) Roberts is a classroom instructor and has served in the role of a campus instructional technologist. He currently serves as a Senior Fellow in the UOP Center for Workplace Diversity and Inclusion Research. He also serves as a 2018 NNSTOY Outstanding Black Male Educators Fellow. Dr. Joy Taylor is a former classroom teacher, school principal, and district administrator with nearly forty years of experience in K-12 education. Dr. Taylor has spent close to four decades giving back to students, their families, teachers and community agencies to build a bridge for future educators and school leaders. She currently serves as a Research Fellow in the UOP Center for Workplace Diversity and inclusion Research. Dr. Darrryl Jones: Accomplished U.S. Army combat veteran with over 24 years of active military service that includes awarding of the Bronze Star Medal (Meritorious). Darryl has served in senior leadership positions, as instructor, curriculum & design, and financial management in the military and as a civilian. In May 2017, Darryl earned the Doctor of Educational Leadership degree from the University of Phoenix with a 3.85 GPA. Darryl currently serves as a Personal Financial Counselor and Team Lead consisting of 12-Personal Financial Counselors at Fort Campbell, KY serving the military community. Darryl is active as Adjunct Faculty at Hopkinsville Community College in Hopkinsville, KY since 2016. Darryl is married to his wife Lynette of 16 years, with five children and two grandchildren. In his spare time, Darryl and his family enjoy extensive travel both in the United States & abroad, while continuing to serve in his 20th year as a youth track & field coach. Bob Williams has mentored beginning teachers in rural Alaska villages. As a Director, Bob oversaw School Improvement efforts and the Accountability System for all 506 Alaska schools. Bob shares why improving opportunity and educational outcomes for rural students is a problem of practice worthy of your commitment to equity. BOB WILLIAMS began his teaching career as a Peace Corps teacher in Gambia, Africa. He is an NBCT, the Alaska 2009 Teacher of the Year, a 2009 PAEMST awardee, an NNSTOY Board member, and in 2017, the first Alaskan inducted into the National Teachers Hall of Fame. From 2017 through 2018, Bob served as the Director of Educator and School Excellence at the Alaska Department of Education. He oversaw Teacher Certification, Health and Safety, Accountability, and Student Improvement. His professional passion is equity for students in rural Alaska by improving quality, building trust, and increasing capacity in rural Alaska schools. Shayla – Dr. Shayla Cornick, Director of Educators Rising, is an experienced researcher, educator and leader with a strong passion for education, and an unyielding desire to help others. With over 15 years of experience in education, Dr. Cornick has served as a 6th grade Mathematics teacher, school administrator and educational researcher. Prior to joining PDK, she also worked as the Director of Research and Evaluation for Discovery Education. In this role, she developed an in-depth understanding of the systemic challenges faced by educators and students, identifying their needs, sharing information to support their growth, and providing evidence to celebrate their accomplishments. Through each of her roles, Dr. Cornick has continuously sought opportunities to enhance educational experiences for both teachers and students. Dr. Cornick received a Bachelor of Science degree in Mathematics from Spelman College, a Bachelor of Science degree in Engineering from Georgia Institute of Technology, and a Doctor of Education from George Washington University. Lucy – Lucy Berrier is the Program Manager for Educators Rising. Lucy has previously supported school board members in their equity work as a program manager for the National School Boards Association, worked directly with school districts as a consultant with Cross & Joftus, and has worked on behalf of schools of education for the American Association of Colleges for Teacher Education. She holds a Master’s in Education Policy from George Washington University, a Bachelor’s in Public Policy from the University of North Carolina at Chapel Hill, and is an alum of the Institute for Educational Leadership Education Policy Fellowship Program. Educators will be trained in facilitating difficult conversations about relevant topics and accessing their students’ unique identities and perspectives. Attendees will receive materials to aid in the protocol’s implementation, view prerecorded classroom conversations, and practice its purposeful structure. The session is designed as direct and timely professional development. Tate Henderson Aldrich is the 2017 New Hampshire Teacher of the Year and 2017 New Hampshire 40 Under Forty Award Recipient. Tate currently works at El Dorado High School in El Dorado, Arkansas, where he continues to help fellow educators work towards equity in student learning. Explore empowerment and disenfranchisement by debunking rhetoric that surrounds women in leadership. Engage in game-based learning, conduct an interactive analysis of personal bias, and create an action plan for engaging women. Leave with an understanding of the current state of women leaders and how to empower them in the workforce. Meghan Everette is an Elementary Mathematics Teacher Specialist in Salt Lake City and the Executive Director of the ASCD Emerging Leader Alumni Affiliate. Meghan was the 2013 Alabama Elementary Teacher of the Year and a 2015-2017 Hope Street Group National Teacher Fellow. She serves as a Digital Promise Micro-credential Ambassador and writer for the National Center for Learning Disabilities Watson-Enabled tools. Meghan co-designed PoweredBy Teach to Lead Utah, spent six years as a blogger for Scholastic’s Top Teaching site, and previously taught at George Hall Elementary, the National Turn-Around Model School. She is currently pursuing her doctorate from the University of Florida. Dr. Christina Yuknis is an Associate Professor in the Department of Education at Gallaudet University where she specializes in teacher preparation. Prior to joining higher education, Dr. Yuknis served as a Policy Evaluation Specialist and taught both Special Education and Deaf Education. Most recently, she became a Fulbright Specialist and completed a project working with teachers in Tunisia. Additional leadership work includes being selected as an ASCD Emerging Leader in 2011, serving as President of the Convention of American Instructors of the Deaf, and serving as the Program Director for the master’s programs in her department. As in the Equity: Head On webinar series, attendees will analyze where they are in addressing implicit bias and creating intentionally equitable learning spaces. Reflecting on how historical barriers impact their community’s access to equalizing catapults like education, participants will hear how others address equity head on. Ernie Rambo taught and led in Clark County, Nevada middle school classrooms for 29 years, and as a classroom educator for 31 years in elementary and middle school. Ernie is National Board Certified Teacher and has a Ph.D. in Education (professional studies). She currently leads educators within the Nevada National Board Professional Learning Institute: Empowering Teachers as Leaders and Learners, facilitates mentors for the Mojave Teacher Pipeline Project, is a Southern Nevada Writing Project and a Southern Nevada Science Project fellow, as well as a four-time organizer for the ECET2SW Conference in Las Vegas, Nevada. L. Juliana Urtubey holds a Bachelor’s and Master’s Degree in Bilingual General and Special Elementary Education and is a National Board Certified Teacher. She has taught in Arizona and Nevada for the past 9 years. Currently, she teaches resource at Crestwood Elementary in Downtown Las Vegas where she is warmly known as “Ms. Earth” due to her work in beautifying the school with gardens and murals. Ms. Urtubey is an instructor at the University of Las Vegas, Nevada, a National Council for Learning Disabilities UNDERSTOOD fellow, and a professional learning facilitator with the Nevada National Board Professional Learning Institute. In order to imagine what can be, we must acknowledge what is. Despite educators’ best efforts, some marginalized students are denied an equitable education. In this session, the Education Civil Rights Alliance’s (ECRA) Leading Educator Ambassadors for Equity (LEAE) will help participants understand their role in ensuring educational equity. Kelisa Wing is a Professional Development Specialist and previously has served as an Assistant Principal, and an 8th grade English teacher. She is the 2017 DoDEA State Teacher of the Year, and a 2016 Association of Supervision, Curriculum, and Development (ASCD) Emerging Leader. She created a non-profit organization called #Squad Up for Education, Inc., to empower parents, students, and educators to commit to become partners in education. She also is the author of “Promises and Possibilities: Dismantling the School-to-Prison Pipeline”. Learn more at www.kelisawing.com. Gloria Pereyra-Robertson is Oregon 2017 State Teacher of the Year, OEA’s Presidential Citation Teacher of the Year, an NEA Teaching Excellence award winner, and a daughter of Mexican immigrants. She has dedicated over two decades to working in Title 1 schools, has taught in San Diego, CA, and is currently teaching kindergarten at Washington Elementary in Medford, OR. Besides being a peer coach, mentor and cooperating teacher with SOU, Gloria is also an innovator who is currently working with Google to help find solutions to break down the language barriers for ELL students in the classroom. Abdul Wright has been an eighth-grade Language Arts teacher at The Best Academy in North Minneapolis for the past six years and is also an instructional coach and data team leader. In the Spring of 2016, he completed an African-American Leadership program and received a masters’ degree in education from Hamline University. He received the Minneapolis PeaceMaker award from the city of Minneapolis in 2015, and is the recipient of the 2016 Minnesota Teacher of the Year award – the first Black male to receive the award, the youngest, and the first from a charter school. Miriam Rollin directs the national Education Civil Rights Alliance, convened by the National Center for Youth Law. ECRA includes over 50 national, state and local organizations protecting the education rights of marginalized children. Rollin previously served for 16 years in leadership positions for the Council for a Strong America, a national non-profit promoting policies that impact vulnerable children. Rollin has practiced both as a Guardian Ad Litem for abused and neglected children, and as an Assistant District Attorney, prosecuting juvenile, family violence, and child abuse cases. She received a BA from Yale University, and JD from Catholic University of America. We recognize a problem with the discrepancy between the numbers of students of color and teachers of color. What can we as teacher leaders do about it? By recognizing our own bias, we can create a plan to make educational spaces comfortable for students and teachers of color. Beth Maloney is in her nineteenth year of teaching, currently teaching fifth grade in Surprise, Arizona. Beth is a National Board Certified Teacher, co-founder of the Arizona National Board Certified Teachers Network and a Candidate Support Provider, coaching and mentoring teachers undergoing National Board certification. She is a member of the Arizona TeacherSolutions Team, a Teacher Champion Fellow, an Empatico Empathy Challenge Fellow and a blogger for the Stories from School Arizona. Beth is honored to be Arizona’s 2014 Teacher of the Year. She was awarded an Honorary Doctorate in Humane Letters and is currently a doctoral candidate. Kareem Neal has taught self-contained high school Special Education for 22 years. Kareem’s passion is in social justice issues. 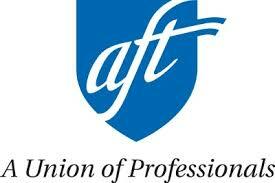 He is a member of the Political Engagement team and the Council of Representatives for the teacher union. He is Vice President of the Black Alliance. He is the PLC lead for self-contained Special Education and the director of his school’s UNITOWN diversity club. He is a restorative justice trainer and a 2018 AEA Diversity Grant recipient. Kareem is a member of the Arizona TeacherSolutions Team and the 2019 Arizona Teacher of the Year. Hans Christian Andersen said “Where words fail, music speaks.” Music can represent us and how we feel. As teachers, it is imperative that we learn how to listen to the songs of our students. We must share our songs so that our students can learn how to celebrate their own. “Shawn Sheehan teaches 9th grade Algebra I at Lewisville High School in Lewisville, Texas. He taught mathematics for six years in Norman, Oklahoma where he was also selected as the 2016 Oklahoma Teacher of the Year and finalist for National Teacher of the Year. Shawn earned his BA in Journalism at Arizona State University and his M.Ed. in Special Education at the University of Oklahoma. Shawn made an unsuccessful bid for Oklahoma State Senate in 2016, campaigning on strengthening core services and STEM education. A strong advocate for improving public education, Shawn has been featured on CBS This Morning, NPR, and The Economist. Students of trauma are in desperate need of expert teachers who incorporate SEL into their teaching. We must use our expertise to advocate for the policies and supports needed to address mental health needs in our schools. Michelle will share how a student tragedy inspires her work in advocating for students with behavioral and emotional differences and will provide some new resources to support teachers in communicating about SEL in their schools and communities. Michelle Accardi, NBCT (Exceptional Needs Specialist) is the Director of Policy and Partnerships for NBPTS. Prior to joining the staff of the National Board in 2011, she was an elementary school teacher in Albuquerque Public Schools working in inclusion and self-contained classrooms with a focus on students with behavioral differences. She leads several grant funded initiatives for NBPTS including the partnership with the Bureau of Indian Education. In addition she develops state policy strategy and various initiatives around the nation and is a frequent representative of NBPTS in a variety of public forums. “The connection between your mind, body, and breath is a powerful thing. “Entering her eleventh year of teaching, Ashlee is a proud third grade teacher from Allen Frear Elementary School in the Caesar Rodney School District. She has dedicated her career to supporting students’ personalized pathways and believes in supporting mental health and self-awareness through school-based mindfulness initiatives. Participants will learn about student-led social-emotional learning through the RULER approach, a research-based approach to SEL. Presenters from the Yale Center for Emotional Intelligence will support participants in engaging high school students as partners with educators to support their school community in developing a healthy emotional climate. Julie McGarry, M.A., serves as Program Manager of inspirED at the Yale Center for Emotional Intelligence. In this capacity, she works to elevate high school student voice and to empower students to take an active role in improving the social and emotional climate of their schools. Before coming to the Center, she was a high school English teacher in Philadelphia and active in her school’s student services programming. She earned her B.S. in English Education and her M.A. in Curriculum and Instruction from the University of Connecticut Neag School of Education. Jessica Hoffmann, Ph.D., is an associate research scientist and licensed clinical psychologist at the Yale Center for Emotional Intelligence. Jessica received her B.A. from Brandeis University, and her M.A. and Ph.D. degrees from Case Western Reserve University where she was awarded the Schubert Center for Child Studies, Cora Unger Brisky Endowment. Her research focuses on the intersection of school climate, SEL, and the development of students’ creative abilities. Jessica collaborates with colleagues in Italy, Spain, and Mexico, and has many scholarly articles in journals such as Creativity Research Journal and the Journal of Cross-Cultural Psychology. Marc Brackett, Ph.D., is founding director of the Yale Center for Emotional Intelligence and Professor in the Child Study Center at Yale University. His research focuses on the role of EI in learning, decision-making, creativity, relationships, and health, and the impact of EI training on student and educator effectiveness and school climate. He has published 125 scholarly articles and is lead developer of RULER, an evidence-based approach to SEL that has been adopted by over 2,000 schools across the United States and in other countries. Marc also consults with Facebook and Google on integrating EI into product design. America to Me Workshop: Engage in a deep dive exploration of equity in your school. “””Are you passionate about equity in your school? Have you heard of and/or watched the docu-series America to Me? Participant Media’s America to Me team and Lorraine Martinez Hanley would like to invite you to an equity workshop that will give participants an orientation of the series, motivation, and newly created educator tools to help you catalyze conversations and change around issues of race and equity in your classroom and school. In the words of an Afghani restauranteur, “Do not spend your money on things, spend it on travel and thereby buying experiences.” Teachers have professional development decisions trying to growing themselves in their vocation. But what pitch to administration might meet something as intangible as SEL education? Travel! Melissa is a fourth grade teacher at Four Georgians Elementary in Helena, Montana. She is also one of 130 select teachers nationwide to share lessons on BetterLesson, a website creating a year’s worth of classroom-ready math lessons. She holds an MS in Elementary Education from University of Bridgeport and is currently working on her EdD in Curriculum, Instruction, and Assessment from Walden University. Melissa is a 2012 PAEMST award winner and an 2019 NEA Foundation Award for Teaching Excellence recipient. She has also served as president of the Montana Council for Teachers of Mathematics. Randi is currently serving as the 2018 Arkansas Teacher of the Year. She is a National Board-Certified teacher with 15 years of experience. She teaches kindergarten for Conway Public Schools and has previously taught first grade and prekindergarten. She holds a BSE in Early Childhood Education, MSE in Reading, and is currently pursuing an EdD in Curriculum, Instruction, and Assessment. Randi recently attended the NSTOY Teacher Leadership Academy and serves as an educational consultant for MacMillan Publishing. Becky has been a high school English, Drama and Physical Sciences teacher at Vision Charter School (VCS) in Caldwell, ID for 9 years. With her bachelor’s degree in Chemistry Education and English Education and a master’s in Science Education, she has taught many dual-credit classes. She is currently working on her EdD in Curriculum, Instruction, and Assessment from Walden University. Professionally, she has contributed to both English and Science education in her state as a member of those respective societies and as a presenter at regional conferences. Clear teaching lays the path for learning. But clarity can be elusive in innovative learning environments. Bring a brilliant, messy lesson to this action-packed master class. Experience NNSTOY members’ teacher clarity strategies for promoting cognitive and affective learning in non-lecture classrooms, based on the presenter’s in-depth qualitative dissertation study. Megan Olivia Hall is the 2013 Minnesota Teacher of the Year. In her 17 years of teaching, Megan has worked with students of many ages and levels, from kindergarten to graduate school. A National Board Certified Teacher, she specializes in innovative curriculum development in Science, Agriculture, and Social EmotionalLlearning. Megan’s writing has been featured in Education Week and The Science Teacher. A 2015 NEA Foundation Global Fellow, Megan is currently a Ph.D. candidate at Walden University. Chappell rethinks Maslow, showing how our physical needs cannot be met unless we meet our non-physical needs such as purpose, belonging, and self-worth. He shows how social media meets these needs in our students in unhealthy ways, and offers Peace Literacy to help students recognize the limits of new technologies. Paul K. Chappell is a West Point graduate, former Army captain, and Iraq war veteran. Growing up as a multi-racial child in a violent household in Alabama, he struggled with trauma throughout his school years. Realizing that humanity is facing new challenges that require us to become as well-trained in waging peace as soldiers are in waging war, he created Peace Literacy to help students work toward their full potential and a more peaceful world. Chappell has authored many books, most recently Soldiers of Peace. He gives workshops on Peace Literacy to teachers across the United States and internationally. Barbara has taught middle school Science since 1992. Barbara received a B.S. in Marine Science in 1979 and a M.A. in Secondary Science Education in 2001 from the University of Rhode Island. She completed her Ed.S. in Teacher Leadership in 2015 at Walden University. She is the 2009 Rhode Island Teacher of the Year, 2009 Newport Teacher of the Year, state finalist for the Presidential Award for Excellence in Science Teaching in 2011, and the recipient of the Susan B. Wilson Civic Education Merit Award in 2015. Barbara served as the chair of the Rhode Island Teacher Advisory Council from 2015-2018. Barbara is a Certified Zentangle Trainer, CZT™️. Suzanne is a middle school Spanish teacher. Suzanne taught in New York for four years before going to Japan to teach English for two years. She has been teaching at Thompson Middle School since 1999. She received a B.A. in German Literature at University of California at Berkeley in 1978 and an M.A. in Foreign Language Education at Stony Brook University in New York in 1989. She also taught origami, jewelry and zentangle for the Newport Community School for sixteen years. She has been a Certified Zentangle Teacher, CZT™️ since 2016. "Opening the door, heart first. " “This interactive session introduces multiple SEL practices , simply executed and proven effective for grades K-12. Participants will experience what a mindful SEL classroom feels like and sounds like for students and teachers, starting at the door. Engagement in multiple activity stations will stimulate attendees to implement these strategies. Ann Neary is a National Board Certified Teacher currently teaching high school ELA in Westport, CT. She is a recent graduate of Mount Holyoke College with a Masters in Teacher Leadership, a Yale-Ashoka Changemaker Fellow and a Yale Social Emotional Intelligence Fellow. Ann began teaching 14 years ago after a marketing career in the fashion business. Katie Biggs is currently an Instructional Coach for Comal ISD in Bulverde, Texas. She began teaching in 2002 for the Department of Defense Education Activity Schools (DoDEA) and has taught K-3rd grade. Katie was named DoDEA Korea District Teacher of the Year 2014/2015, European PTA Teacher of the Year, and is currently a state finalist for the 2018 PAEMST Presidential Award for Excellence in Math and Science. She is also a recent graduate of Mount Holyoke College with a Masters in Teacher Leadership. Educators are not therapists but they can help create healing spaces. Educators will develop a foundation for the science of relationships and how it impacts the classroom setting. Educators will be provided with strategies and tools to help with creating healing classrooms. Djuan Short is a Clinical Social Work Coordinator at The School District of Philadelphia. She is also a mental health therapist for children, adolescents and families. She is currently studying to be a yoga therapist as well. She has over 10 years of experience in the mental health field and some of her specialties include mental/behavioral health, child welfare, child abuse, sexual abuse and neglect, education advocacy, and navigating the juvenile justice system. Social and Emotional Learning is at the core of student learning and engagement, but it’s often not present in STEM classrooms. Shawn Sheehan will demonstrate how SEL can be combined with STEM lessons and introduce attendees to STEMote.com, an website/app that consists of standards-aligned SEL STEM lessons. Shawn Sheehan teaches 9th grade Algebra I at Lewisville High School in Lewisville, Texas. He taught mathematics for six years in Norman, Oklahoma where he was also selected as the 2016 Oklahoma Teacher of the Year and finalist for National Teacher of the Year. Rewriting the Rules: How to Transform School Systems through a Social Justice Lens. For almost two centuries, American public schools have been organized to privilege few and limit opportunities for many. Today’s leaders need to understand the underpinnings of our school systems so that they can rewrite the rules and bend the arc towards social justice. Dr. Josh Starr, who spent more than two decades in public school systems, will share his perspective on how educators can use the past to create a better future for all of our children. “Joshua Starr became chief executive officer for PDK International in 2015. Dr. Starr was previously Superintendent of Schools in Montgomery County, MD and Stamford, CT.
Dr. Starr’s career includes teaching Special Education in Brooklyn, NY, and leading curriculum and accountability reform efforts in urban/suburban districts in the NY metropolitan area, including NYC. Dr. Starr has a bachelor’s degree in English and History from the University of Wisconsin, a master’s degree in Special Education from Brooklyn College, and a master’s and doctorate in Education from the Harvard University Graduate School of Education. He and his wife have three kids in public schools. Understanding the implications and meaning of justice is a vital part to cultivating a well rounded learner. Included in this is the understanding of the way race plays a role in our teaching and in the lives of all of our students. From clubs to curriculum, teachers can build awareness regarding personal bias, and incorporate social justice and racial reconciliation learning into all they do. In this session, we will examine how we can apply four essential elements of creating justice driven change to our classroom, and, ultimately our school as written by Bryan Stevenson, lawyer, civil rights leader, and author of Just Mercy . These elements are Get Close, Be Willing to be Uncomfortable, Change the Narrative, and Give and Receive Hope. Attendees will identify an area of injustice or inequity in their school/community and brainstorm an action plan. The goal is to leave this session with a plan to create a movement in their classroom and/or their school that has been discussed and work-shopped by other session attendees. People in all professional sectors can easily apply this to their place of business. Erickson will also share curriculum she wrote and texts she used for high school Social Justice and African American literature courses at Mt. Vernon as well as ways to plan a racial reconciliation student conference and tour of the Southern U.S. The school of 2029 cannot look like the school of 2019 if we want the institution of public schooling to remain relevant. Thus, it is up to us. It is our calling to lead the transformations that we are know are necessary. It is our time to #LeadChangeNow. Dr. PJ Caposey is an award-winning educator, speaker, and author. PJ has been the leader of two significant school/district turnarounds and currently leads one of the highest performing districts in the country when analyzed on by per pupil expenditure. Additionally, PJ is an author of six books and a considered a thought-leader inside and outside of education. meenoorami.org/about – my bio is available there. 21st century learning that emphasizes a full range of knowledge skills and dispositions is an imperative for all students, with or without disabilities. Unfortunately, the latter group is too often left out of this vision. Our session will present practices and conditions that ensure access to inclusive 21st century learning. Kimberly Eckert, M.Ed., Louisiana’s 2018 Teacher of the Year, teaches high school English, also serving as a reading specialist and instructional coach. Previously, she served as a Special Education teacher, a reading interventionist, as well as a TAP mentor and master teacher. Kimberly works to create meaningful learning experiences that help students of all abilities progress while developing their own voice and agency. Most notably, her classes are structured around “Genius Hour” in order to embolden students to take on ambitious personal passion projects to enhance their own lives, school and community. In addition to teaching, she serves as an NEA Global Learning Fellow and a Stand for Children’s LEAD Fellow. She recently received Louisiana’s inaugural Public Interest Fellowship for work with Educators Rising. While Kimberly has received most recognition as an English teacher, she still identifies as a Special Education teacher and applies personalized learning models to everyone she teaches. 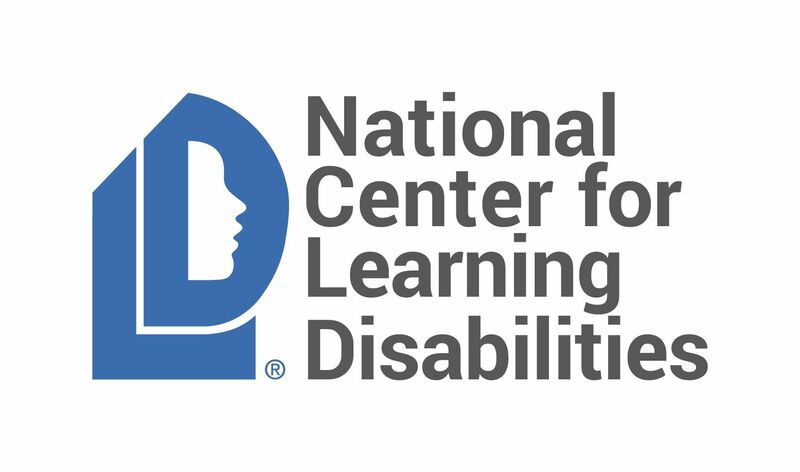 Ace Parsi is the Personalized Learning Partnership Manager at the National Center for Learning Disabilities (NCLD) where he works to ensure students with disabilities fully benefit from initiatives aiming to personalize learning for all students. Prior to joining NCLD, Mr. Parsi served as the Deeper Learning Project Director at the National Association of State Boards of Education (NASBE) where he worked with state boards of education nationally on a variety of topics—including assessments, accountability, high school graduation requirements, educator capacity and other issues—related to ensuring students have the knowledge, skills, and dispositions essential for college, career, and civic success. "How to create professional learning opportunities for educators of color "
Schools grapple with methods of equitable distribution of responsibilities within the learning environment without adding more on their plates. With limited resources, more often than not, early career educators have limited to no mentoring support. For educators of color, they often find themselves becoming the disciplinarians with limited experiences at demonstrating their abilities to implement quality instruction. In this session, participants will learn how leaders take responsibility for creating change within systems that supports the growth and development of early career educators through teacher leadership. Participants will learn how districts can lead on professional learning for educators of color. Based on research and strategies used in the NEA Early Career Learning Labs (a blended learning environment to support early career educators around instructional and classroom problems of practices), participants will learn how to create a safe space for educators of color through designing professional learning around two parts: socio-emotional challenges educators of color face and instructional problems of practice. Strategies include: creating a safe space for educators of color, providing opportunities for voices to be heard and experiences normalized, providing strategies for educators of color to navigate school and work environment, identifying issues to organize around to improve working conditions, and using the Intasc standards to analyze instructional practices and problems of practice. In this session, participants will identify the systems changes that are necessary to shift the focus of teachers of color as disciplinarians. Participants will identify actions to take in their districts to advocate for professional learning, professional quality, and social diversity. Participants will learn how districts can lead on professional learning for educators of color, create a safe space for educators of color, and design designing professional learning around two parts: socio-emotional challenges educators of color face and instructional problems of practice. Ambereen Khan-Baker, NBCT, Senior Policy/Program Specialist, NEA Teacher Quality: With thirteen years of classroom experience as an English teacher, Ambereen serves as a Senior Policy/Program Specialist in the Teacher Quality department at the National Education Association, supporting affiliates with candidate support for National Board candidates and professional supports for early career educators. Ambereen Khan-Baker is a National Board Certified Teacher. Follow Ambereen on Twitter @ambereenkb. Participants will experience real-life examples of teacher leader strategies and pitfalls. They will engage with colleagues in examining successful implementation of teacher leadership to effect radical change. Based on the newly published book, Adventures in Teacher Leadership: Strategies, Pathways, and Inspiration, participants will leave with leadership strategies to enact change. A profound quote from health improvement science claims, “Every system is perfectly designed to get the results it gets.” Imagine perfectly designed educator talent systems attracting, preparing, placing, developing, and retaining strong teachers. How would our profession be different? How do we build perfectly designed educator talent systems? Dr. Holly Boffy is the Vice President of the Louisiana State Board of Elementary and Secondary Education. She was first elected in 2011. She is also the founder of EdTalents, which provides education consulting services to organizations and schools. Previously, Holly worked for CCSSO in various roles focused on teachers and leaders. Through her experiences and understanding of the potential for teachers and leaders to impact students, Holly has developed a vision for perfectly designed educator talent systems. Holly is the wife of Carrick Boffy, mother of Pierce and Claire, and the 2010 Louisiana State Teacher of the Year. Teacher research experiences provide educators with opportunities to engage in real world research that they can bring back into their classroom. It is also the key to teacher retention. Learn how two teachers have inspired their students and re-energized their passion for science by participating in teacher research programs. Lesley: Lesley received her bachelors of science in biology from Cal Poly and her masters of science in Chemistry from South Dakota State. Lesley teaches Science at a project-based full-inclusion school in San Diego, California, and has worked hard to give her students learning experiences outside of the classroom in an effort to combat social inequities her students face. Lesley’s research experiences outside of the classroom with NASA, NOAA, and PolarTREC have sent her around the world to bring science back to her students. She hopes these opportunities will provide inspiration for her underrepresented students to pursue science. Kyla: Kyla received her bachelors of science in biology from Cal Poly and her masters of science in chemistry from South Dakota State. Kyla teaches several science courses at at high school in Santa Rosa, California. As a Noyce Scholar, she chose to dedicate herself to educating the students most in need. As an educator she strives to meet every kid where they are and advance them to a place to find success. Kyla’s teacher-research experiences at NASA and Romberg Tiburon have led her to transform her student’s learning to engaging, hands-on practices. 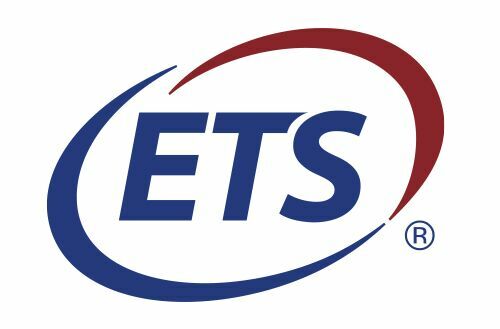 Stakeholders in higher education Teacher Education Programs and P-12 settings share many similar interests for promoting student achievement. Collaborative P-16 partnerships aimed at building critical literacy skills can positively affect academic success for P-12 students, teacher candidates, and for new teachers in the field. The presenters will success share their literacy-based P-16 collaboration experiences and outcomes. Audience members will learn ways to cultivate those partnerships within their communities. Gay Barnes is an Assistant Professor of Education at Birmingham-Southern College in Birmingham, Alabama. She began her teaching career in 1987 and has loved every single minute of her work as an educator since that first day. Gay holds a master’s degree as well as an education specialist degree from the University of Alabama at Birmingham and a doctorate in Literacy/Reading Education from Alabama A&M University. She is a National Board Certified Teacher as an Early Childhood Generalist. Currently, she is working on a doctorate in Early Childhood Education from Walden University. In 2012 she was named Alabama’s Teacher of the Year and was selected as a National Teacher of the Year Finalist. Gay has learned much about the art of teaching from her colleagues and students both past and present. However, it is from the five children who call her mom that she has learned the importance of fiercely advocating for developmentally appropriate practices for our youngest learners. Dr. April Jessup Giddens is an Assistant Professor of Education at Northwestern State University in Natchitoches, Louisiana. April serves as the Coordinator of Elementary Education programs at NSU. April is the 2012 Louisiana Teacher of the Year and a National Board Certified Teacher in Literacy: Reading-Language Arts. She taught in the P-12 system for 22 years before moving to higher education, with the majority of her experience teaching middle school English Language Arts. April’s three children have further inspired her to be an advocate for pubic school education. Dr. Amy Weems is an Assistant Professor in the School of Education at the University of Louisiana at Monroe. In this role, Amy coordinates secondary education undergraduate and alternative certification programs. Through her teaching of secondary methods courses, oversight of field experiences, and work with doctoral students, Amy seeks to best prepare teacher candidates for the demands of 21st Century classrooms and schools. Amy serves on numerous initiatives to help bridge partnerships between local school districts and universities, and she is expanding that collaborative network in her work to help establish the Louisiana Chapter of State Teachers of the Year.
" Powerful Teaching: Unleash the Possibilities of Powerful Learning "
“Patrice Bain is passionate about student success using research-based strategies. Patrice (ILSTOY Finalist) completed more than 25 years teaching middle school.She spent 15 of those years working closely with cognitive scientists turning research into authentic learning strategies. Patrice is co-author of Powerful Teaching: Unleash the Science of Learning. She was one of two teachers in U.S. on the working task group: Neuromyths vs. Neurotruths, sponsored by Institute of Educational Sciences (IES) and the National Commission of Educational Research (NCER). She has been featured in NOVA, NPR, webinars, popular press and podcasts. Singapore’s career pathways represent a significant departure from traditional school staffing structures, and are often held up as a model for teacher leadership. Yet here at home we have strong examples of teacher leadership pathways.This session will explore career pathways that provide teacher leaders with real, meaningful authority and resources to lead professional learning and to serve on school leadership teams. New states initiatives and policies to advance teacher leadership will be highlighted. As chief policy officer at the National Institute for Excellence in Teaching (NIET), Kristan Van Hook develops and implements strategies to build support for NIET’s education initiatives, with a focus on increasing teacher and school leader effectiveness. Kristan leads NIET’s work on education policy and initiatives at the federal, state and district level designed to support innovation and reform in teacher support, teacher career development and pathways for advancement, evaluation and compensation. With 25 years of experience in public policy, Van Hook previously worked for the U.S. House of Representatives and the U.S. Commerce Department. Van Hook founded a successful public policy firm, representing corporate and nonprofit clients in the fields of telecommunications, information and education prior to joining NIET. Van Hook graduated from Dartmouth College and the Kennedy School of Government at Harvard University. Helping children find a shared humanity with those who are different is more important than ever. Using inspiring narratives from around the world, Mike will leave you with an optimistic vision of how education can lead us through these complex times to a peaceful, prosperous, and more equitable future. As a keynote speaker, author, and pioneer in using global learning to empower students, Michael Soskil is passionate about helping educators and students use education to make the world a better place. For his work he was recognized as the 2017-2018 Pennsylvania Teacher of the Year and named one of the top 10 teachers in the world by the Global Teacher Prize in 2016. The book he co-authored, Teaching in the Fourth Industrial Revolution, has been called “an authoritative guide to teaching practice over the next three decades” and has been endorsed by world leaders in government, education, and business. Thank you to our 2018 sponsors! Contact Megan Allen, [email protected], if you would like to sponsor this year's conference. Please view the Sponsorship Brochure, below, for all opportunities.